Helping small/mid-sized businesses to “THINK LARGE“ and use the practices, processes and systems that large businesses use. 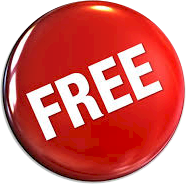 LIMITED OFFER: Our next training is FREE! Social Media Marketing is all about keeping in touch with your contacts via your social media accounts, such as Facebook and LinkedIn. – Social Networking.is the top online activity in the U.S. with the average person spending 37 minutes a day. – LinkedIn (my favorite for B2B, gaining us 85% of our business) now has 347M registered members. If you’re not on Social Media consistently interacting and posting, and doing research on your target market, plus how to use these popular venues and what other venues are useful to you – well, the world (and your competitors) are leaving you behind. If you just put a web site out there and expect to get business from it, you’re going to be waiting a long time – and you most certainly won’t succeed. Yet, according to the SMB, 60,000 businesses are started each year, and most do exactly that. Even if your company gives you a web site, it’s not enough. I’ve worked with so many who said that their company won’t allow them to have a web site of their own, but there are things you can do that they will not object to (more on that later). But it takes time and consistency to build those relationships on social media, where they know who you are and what you do and trust you. They need to see your name and information eight to ten times in some cases before they feel like you’re someone they can relate to. Most people only contact their list when they are trying to sell, but “sell, Sell, SELL” doesn’t work anymore – people are inundated with that and not longer respond to it. Most times people only use Social Media sporadically – when they have time or feel they have something to say. They don’t consistently wish their contacts a Happy Birthday, Congrats on a new job or anniversary, or make any attempt to be personal at all. Hiring someone to do this for you is the best solution. When you hire someone to do your SMM (Social Media Marketing) for you, you are trusting that they know what they are doing. You will find varying degrees of that – there are questions you should be asking (later). They should understand your business and your target market, so first clue is: they should be asking a lot of questions as well. Most importantly, they must understand psychology – what will draw that contact to you if they need your services. They must clearly state why you are different, what you offer that others don’t, and the steps they should take next. People need clear, simple guidance or they won’t follow through. The two biggest problems that most have with SMM – TIME and MONEY. Time is understandable because you are busy running your business. One person cannot do everything in a business – there just aren’t enough hours in the day. Unfortunately, most people don’t understand that they must have a marketing budget or they won’t and can’t grow except for their “in person” contacts that they make – and networking can be much more time consuming and much more costly when you figure in gas, vehicle wear and tear, meal/drink cost, your TIME (remember – if you’re not putting a value on your time, you are doing yourself and your business a huge disservice). ADVICE: If you’re asking if you should pay to join any networking group, visit first as many times as allowed. If you get enough business from that to pay for a year’s (or even 6 months) membership, then consider joining. SMM is one of the least inexpensive, most productive, ways of generating interest. But there is a wide range of prices for social media marketing. The more it costs doesn’t mean the better it is. Because of the way most Social Media Marketing companies do business, you will never know if they are doing you any good or not, especially if you are running other campaigns at the same time. Most SMM companies do not (because they can not) give you the statistics to prove they are doing the work and doing it well enough to put you in front of the numbers you need to make the sales you need. They just rely on the fact that most of the SMM companies out there cannot give specifics, so one is just as good as another – NOT SO. If you’re a marketing expert, then you can buy the SocialZing package and set all this up yourself, if you have the time. What we do that you most likely can’t (or won’t have time for) is set up a Landing Page for each campaign. We include a link in each post that, when clicked, takes them to a Landing (or Capture) page set up for you, which allows you both to give more information about yourself and your product and also gather contact information from your visitor. Now they are no longer a “contact” – they are a QUALIFIED LEAD, which means they are already interested. This transition is what every marketing company works toward – once they are a qualified lead, you have a much better chance of making a sale (like an 80-85% better chance). What I mentioned earlier that we can do where not one company has ever objected to – not a financial services company, realty agency or MLM company – is use a personalized landing page. This approach works as long as you don’t cross the line – make false promises, give away trade secrets, etc. It’s intended to be more personal. On this page is where you should make the case for you of why you are different, better than the rest of your competition and more likely to help them with a better outcome. We also add downloads, discount codes, special offers to purchase NOW, etc. to these pages. This page will encourage them to take the next step by telling them what to do – that’s all most people need. We can use discounts or specials with time constraints if that is useful to you. You can offer a free initial meeting or phone call or Skype. If we can get a video made by or for you, that will increase the chances dramatically that a visitor will register or actually purchase the product. Images of yourself and/or the product, if relevant, are much better than an all text page – those things can really make a difference. But be careful not to use copyrighted images – I can tell you stories about the penalties for that! How many posts will they make per day and per week? If they can’t do two to three posts per day, they aren’t going to be able to help you get your message out. This is because different people in different situations check their social media at different times. Your post, if it doesn’t hit these times, will get buried in all the other posts being made. How do they generate the information for these posts? If they are trying to do all these posts custom, they are going to charge you for all that time. Of course you need relevant posts – but posts that are NOT meant to sell, Sell, SELL are needed, too. Interesting facts, Leadership, posts about Social Media Marketing, Health and Wellness facts, Finance, Fortune Cookie, Inspirational, Personal Development, Networking Tips, and Technology are all categories that we have many pre-written posts for and they are refreshed monthly. Some cheaper providers use a text “spinner” that just moves words around and Google recognizes that now and will penalize you. Can they give you the statistics for the results of the posts? We can give you the analysis to the click. What posts went out, when, how many “registrations” came from which posts so you can make adjustments, how many sales were generated, and we can also customize your reports the way you want to see them. Can they provide you with an integrated CRM like 1-Box to automatically update your database from your landing pages so that you can text and email to them (or that you can pay them to do)? This is a critical piece to your tracking and follow-up. Plus the functionality of being able to send out newsletters. This is usually an extra charge, so keep that in mind. What do they charge and are their any extra charges? Sometimes there are extra charges – like for those reports I mentioned before. Always discuss your “target market” – your demographic selections that you are most likely to sell to. They should know this, so you should do the research and know this before you call anyone for any type of marketing. A Capture (Landing) page (name, email, whatever you need to capture), which will be emailed to you. If you select the 1-Box CRM option, this info will update your database automatically! This Capture page is more informative than your web site and should be more compelling. It will tell why you are different and better than your competition, while promoting a sale, special deal, giveaway or download, so you get a great looking page with your message along with the form. 1-Box CRM where you can create Email categories for your lists – you can import your LinkedIn contacts (and any other contacts) and keep in touch, which will lead to a much higher percentage of sales. Click Get A Quote to find out how affordable we are!. BE AN EDUCATED CONSUMER AND YOU’LL BE A SUCCESSFUL ONE. so you can TRACK and INTERACT with the leads we generate for you! If you can think of other questions or let me know what successes and failures you’ve had with SMM, then I can help others with that information!